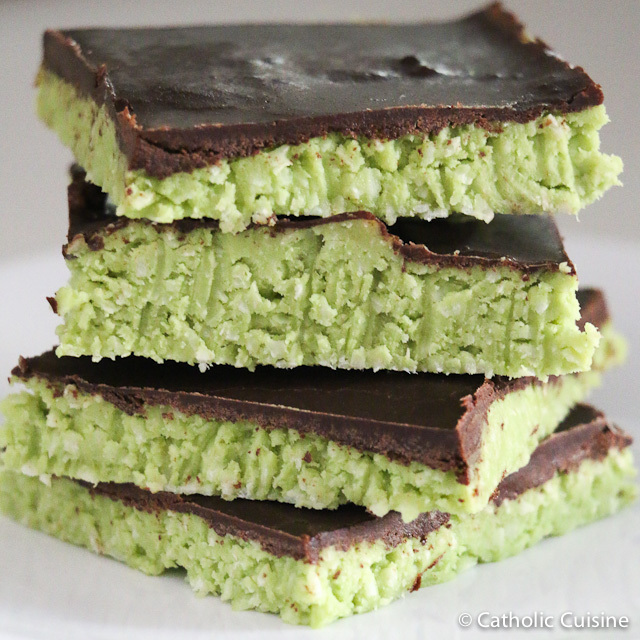 There is a great recipe for Grasshopper Parfaits in the archives here at Catholic Cuisine. 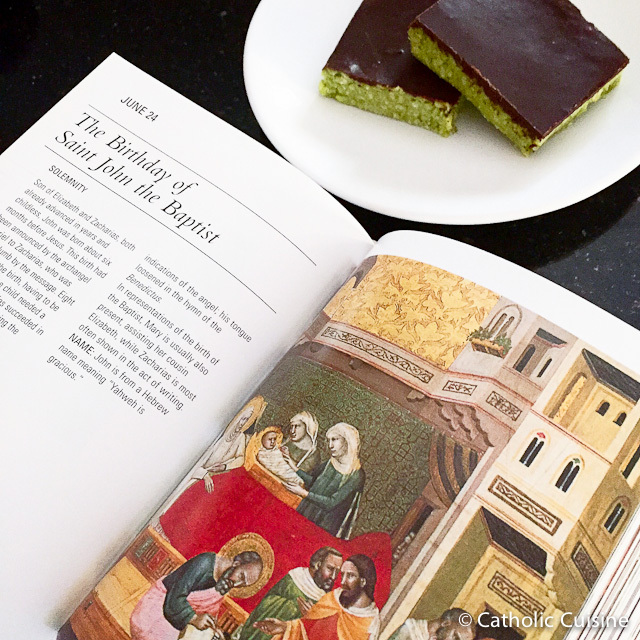 After making them for the rest of my family, I decided to try and find something that I could enjoy as well for our celebration on the Solemnity of the Birth of Saint John the Baptist since I've been on a strict Autoimmune Protocol (AIP) diet for the past four months. 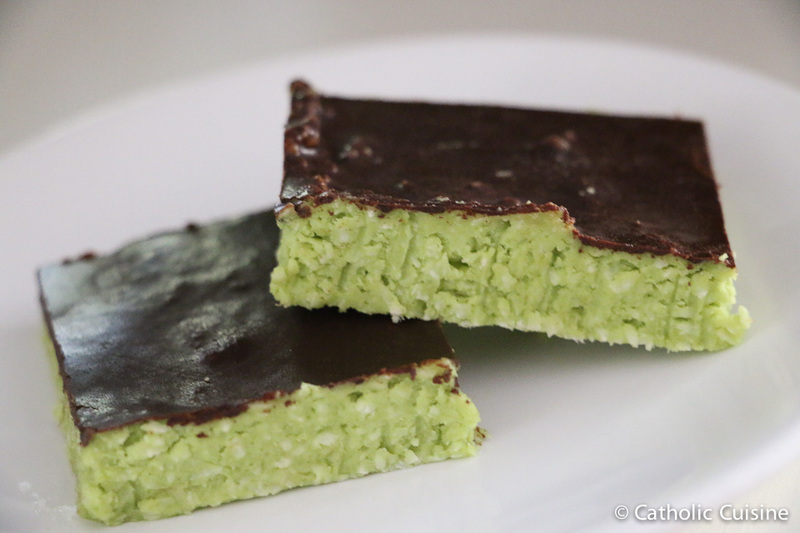 These Honey Sweetened Grasshopper Bars were perfect and tasted amazing! Cocoa Powder is not on the AIP list of approved foods and it had been a while (113 days to be exact) since I had eaten any chocolate, but so far I haven't noticed any adverse reactions and am hoping that it can remain in my diet as an occasional treat. This recipe is dairy-free, gluten-free, grain-free, refined sugar-free, seed-free, nut-free and makes a delicious option for those looking for a healthy dessert! 1. Line a 9×9 inch baking dish with foil. 2. 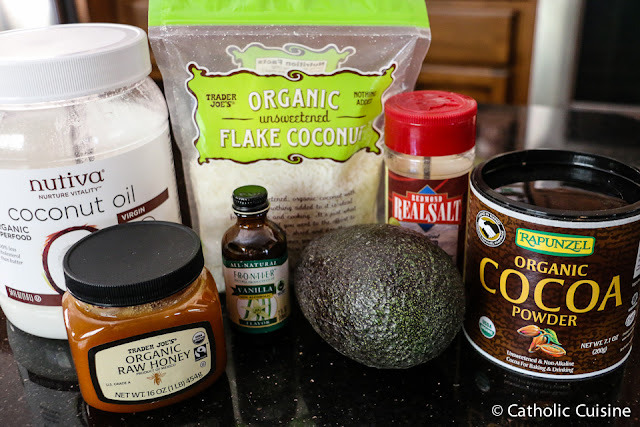 Place all ingredients in high powered blender (I used my Vitamix) or a food processor. Blend until smooth. 3. 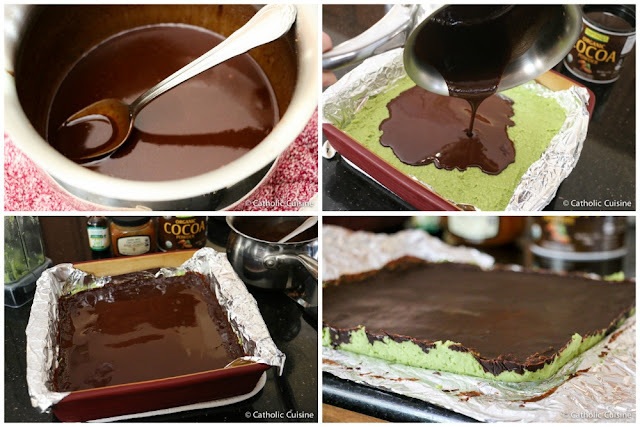 Smooth mixture into prepared dish and stick in the freezer while you prepare the chocolate layer. 1. In small saucepan, melt coconut oil and honey over low heat. 2. 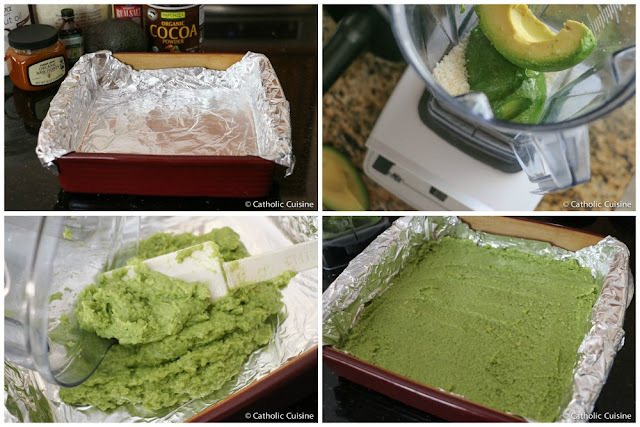 Remove from heat and stir in remaining ingredients. 3. Pour over chilled bottom layer and return to the freezer for about 15 minutes, or until the chocolate layer is hardened. 4. Remove from foil and cut into bars. 5. Store covered in the freezer. Note: These would also make a healthy green treat for St. Patrick's day in March! Saint John the Baptist, pray for us!